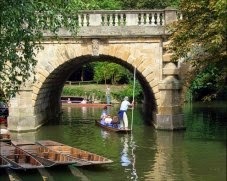 Would you like to stay & paint in the beautiful and historic surroundings of Oxford University's Magdalen College? I will be Tutoring a course once again for West Norfolk Arts. Painting in the wonderful grounds of Magdalen College, and on location in Woodstock and Burford, in the media of your choice with demonstrations, group tuition and one to one guidance as appropriate. Demonstrations will be in Watercolour. 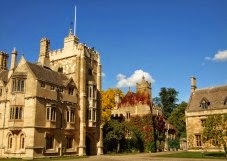 You will be staying in the historic surroundings of Magdalen College on a half board, dinner bed and breakfast basis in en suite rooms.